Welcome To the Wonderful World of Music!! Mission statement: An education in the arts is an essential part of the academic curriculum for the achievement of human, social and economic growth. The goal of the music program is to develop citizens who are music literate. Music literacy is the capacity of individuals to recognize various musical literature, composers, and performers as well as have an understanding of basic rhythm and pattterns that depict the various styles of music. Creative expression will be promoted and aesthetic expressions of others will be appreciated. 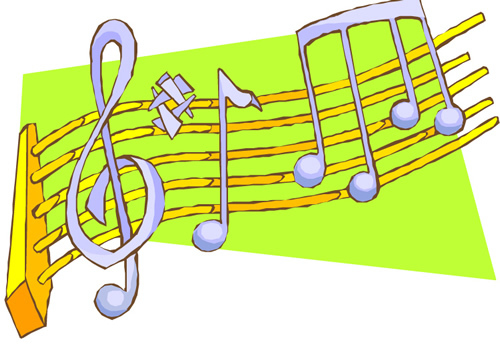 The musical experience will produce positive attitudes toward competition and performance. An awareness that music is a "mirror of the times" will foster knowledge of world events.